I love Valentine’s Day, love songs, daring, romantic gestures, holding hands, words oozing with syrupy sweetness and love-conquers-all stories. It’s this sweetheart outlook on life that has led some to call me a “hopeless romantic.” Initially, I accepted, even welcomed this label, feeling flattered and comfortable with the word "romantic." However, after digesting what this meant, hopeless romantic, my heart quickly cried out in dissent! Truth be told, there is nothing hopeless about the way I view love. No, I am not a hopeless romantic, I am a hopeful romantic. For those of you rolling your eyes right now, just keep reading. My affection for true love started long ago. As a young girl, I remember having all sorts of dreams and expectations about love and marriage. I think at one point I actually thought when I fell in love a magical happiness dust would be sprinkled on me and my life would forever continue in a blissful state of perfection. 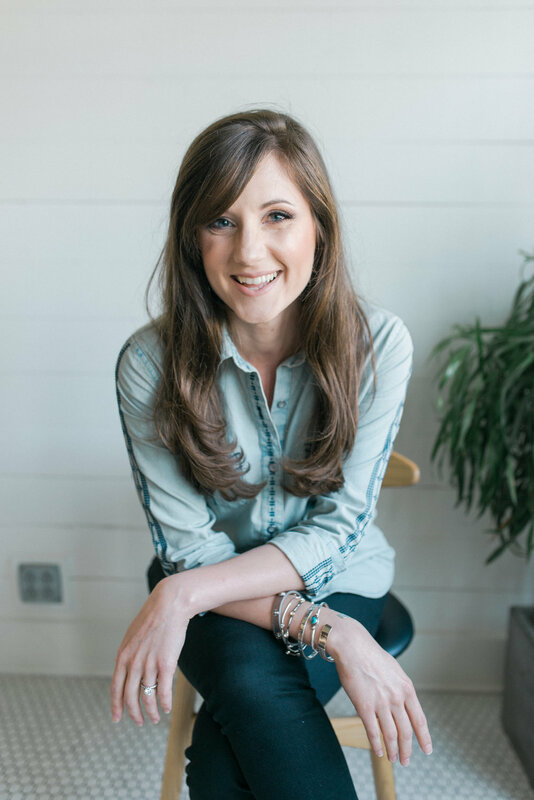 As I grew up, I started to see others endure heartbreak and even experienced some myself, and I all but gave up on my hope for true love—for me or for anyone. And, even if it were really out there, I wasn’t sure it was worth the work. Then, somewhere along the way, something slowly shifted (more on this in a minute) and my hope started to be restored glimmer by glimmer. As this happened, much to my surprise, I discovered neither of my former outlooks— the optimistic or the pessimistic— were right. In fact, both of them couldn’t have been farther from the truth—and thank goodness for that! I discovered that what I had once thought and desired to be true, wasn’t. Love doesn’t come with any sort of magical dust, and it certainly doesn't guarantee that you will suddenly become inundated with roses, romantic dinners, extravagant gestures, and candlelit evenings. Those things are about life, not love. You see, they’re all circumstantial so when then happen you’re happy and when they don’t, well, you’re not. The discovery I made is that instead of love being elevated by life, life is elevated by love. Love reaches you in the humdrum, the unexpected, the seemingly "meaningless" moments of life. I never knew a trip to the grocery store, an eight hour car ride, or cleaning the kitchen could be moments of bliss. Now, don’t’ be mistaken, life is still life; all those things still involve spending money, a sore tush, and wrinkly fingers. But, when doing them with someone you love, you all of the sudden realize the simple things are made richer when shared. Love has the ability to make the simplest moments sacred. We were created to be together and there is something profound and life-changing about a together as strong as marriage. Loyally partnering with someone to tackle all the little moments of life (flat tires included) is true romance to me. Love has the ability to make the simplest moments sacred. What was it that shifted, you ask? Well, it’s simple really—my life was touched by love. No, I don’t mean that one day I tripped and fell into the arms of my Prince Charming. It was much more of a journey than that. It all started as I got to know the Author of love. As I began to truly know Him, He showed me His character and love changed my life. Then, before I even thought I was ready, my love story started to be scripted right before my eyes more beautifully and romantically than my hopefully romantic heart ever dreamed. That’s when I fell in true love with the man who is now my husband, and I learned that love does take work, but not like I once thought. I realized the “work” I had always been doing was that of trying to make myself right for someone and trying to make them right for me when we simply weren’t right for each other. So many times, with the hope for true love, I had tried to fit a square peg in a round hole. If you’ve ever tried to do that you know it doesn’t work. If somehow you got the peg part of the way through, you experienced what a difficult process it was and saw the permanent damage it did to the peg and the hole. That was my experience exactly—difficulty and damage. As my damage was restored and I met the one that was undeniably right for me, I found that the work of love is not about being right for each other, it’s about doing right for each other. The work is getting up every day and living sacrificially, caring selflessly, prioritizing consistently, staying loyally and loving passionately. And that kind of work is worth every bit of effort. Even when it doesn’t feel worth it, I know it is because that is how I have been loved. Life isn’t perfect and neither is human love. That will never change. But, there is a love that is perfect and whole, and completely available to each of us. “God showed how much He loved us by sending His one and only Son into the world so that we might have eternal life through Him. This is real love—not that we loved God, but that He loved us and sent His Son as a sacrifice to take away our sins.” – 1 John 4:9-10. I know my God and I believe in His goodness and His heart for me, for you, and for love. I believe Him when He said it is not good for man to be alone (Genesis 1:18) and I hopefully expect the best He has to give us. So here I am, a self-proclaimed, hopeful romantic. I don’t believe earthly love and marriage are perfect, but I do believe in love that is patient, kind, and not jealous, boastful, proud or rude. I seek a love that is not irritable, keeps no record of wrong and does not rejoice in injustice, but rejoices in the truth (1 Corinthians 13). I know the Author of love and in this I have hope. The way I see it, believing for the best gives way for the best to come to be. I choose to love and if I’m going to love I choose to do it with a hopeful heart. Won’t you join me? And on that note, I warmly welcome you to the lovingkind! 3. "Send" the Valentine to a friend by including their Instagram name in your post and you'll both be entered to win! 4. 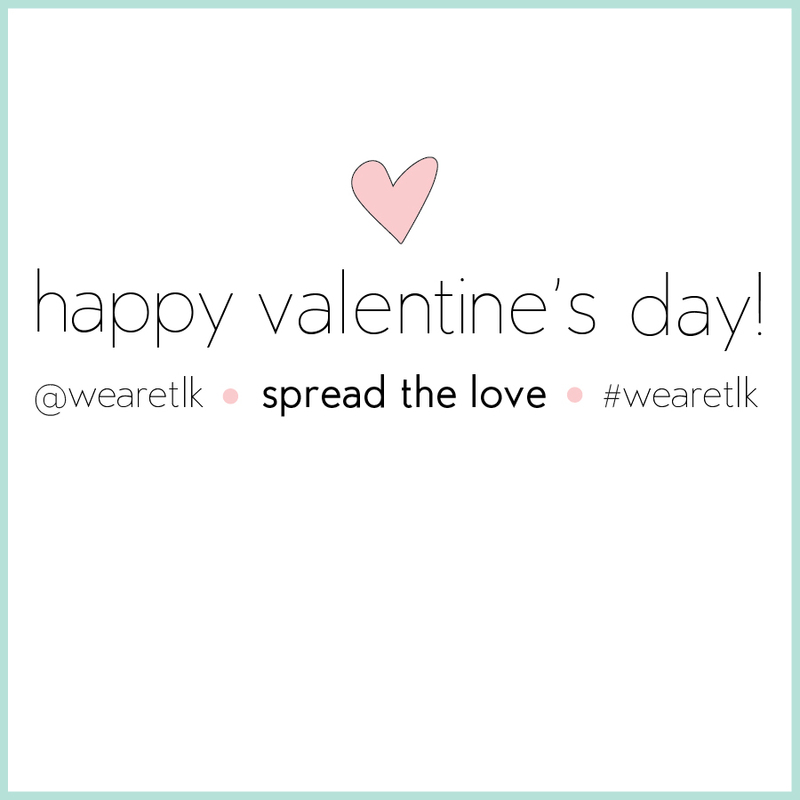 Don't forget to use the #wearetlk hashtag and spread the love! 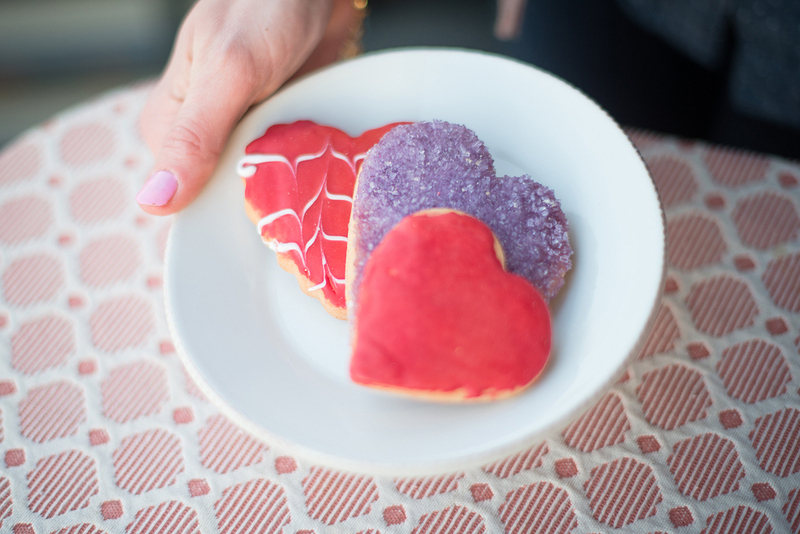 Three happy Valentine sharers will be randomly selected to win Monday, February 17th. Stay tuned! I'd love to hear from you! Leave a comment below or send a message via the "say hello" page! Happy love day!